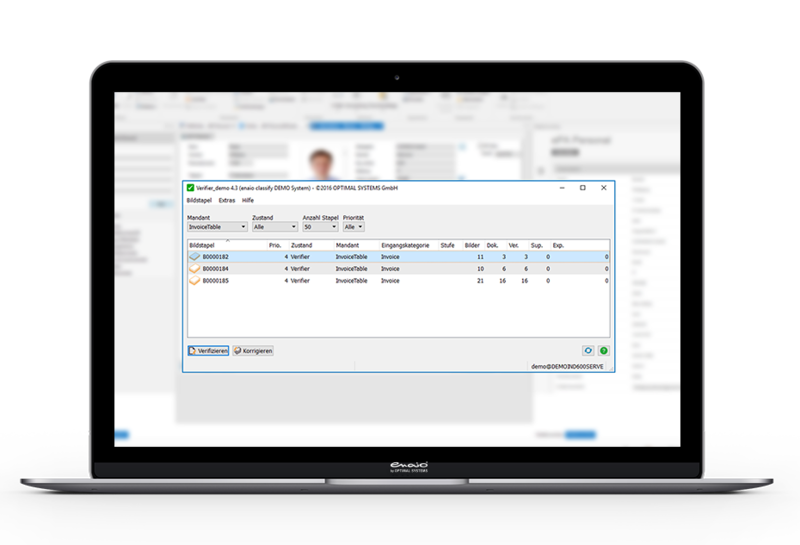 enaio® classify is a professional classification component with an integrated validity check that automatically recognizes and correctly classifies forms and receipts. This makes it an ideal complement to the capture functions of enaio® capture and is suitable, for example, for the development of largely automated incoming invoice processing solutions. Automatic classification of inbound documents will allow you to save a lot of time and money, especially when capturing large quantities of documents. The solution can be integrated into any existing archive, ECM, or workflow systems and thus fits seamlessly into your existing software architecture. Classified data fields are created from unstructured input data. enaio® classify identifies adresses, invoice recipients, VAT amounts, or complete line-item tables. from fully automated scanning through to indexing. enaio® automatically recognizes whether a receipt is legally compliant or whether an invoice has been completed correctly. Documents are classified, invoices are validated, and invoice data is compared against existing data. Sample invoice: Information is extracted from the invoice and automatically assigned to the appropiate data fields. The enaio® classify classification component enables the semi-automatic to fully automatic capture of incoming invoices in your company, even for paper-based documents. Address and invoice data as well as other relevant information contained in the documents is captured and classified. Captured data can be validated against systems external to enaio®. This makes it possible, for example, to reconcile invoices against an ERP system. 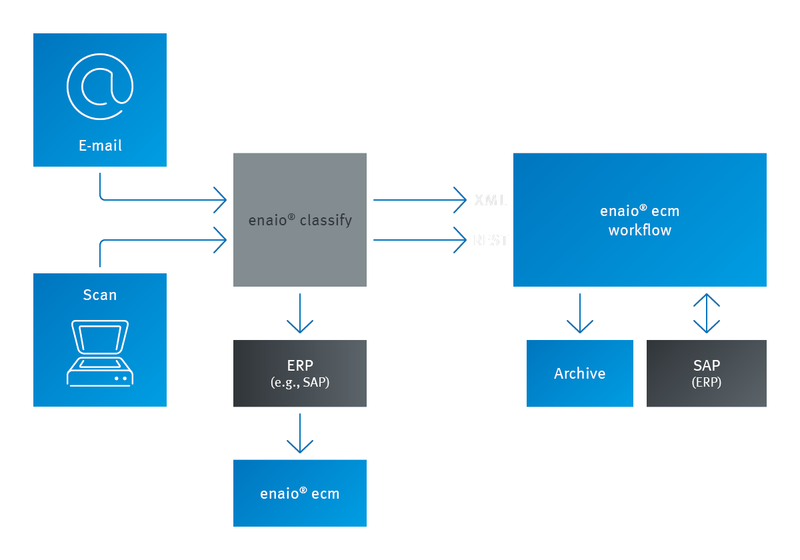 Classification with enaio® is based on a self-learning system that can interpret and classify any documents and then hand them over to the relevant workflow process. 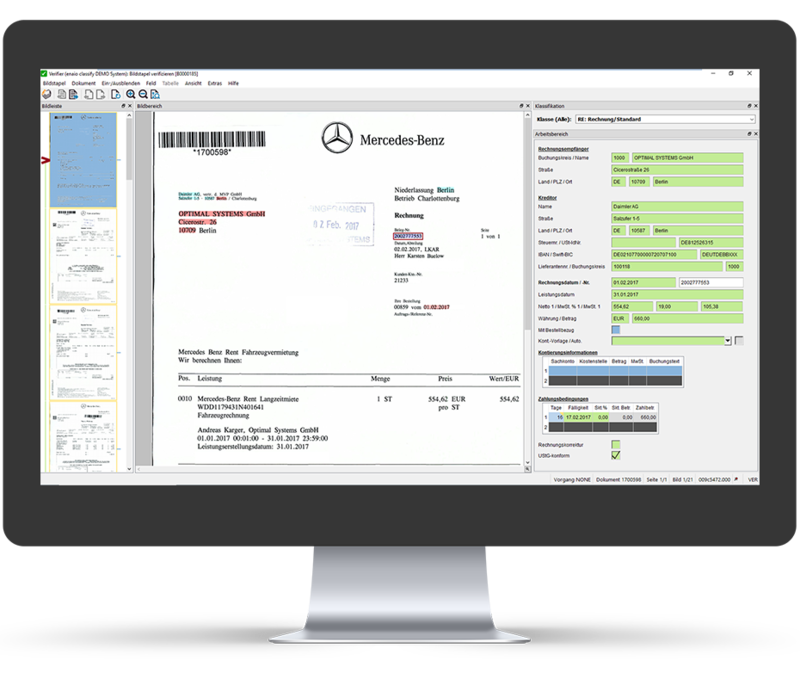 In addition to incoming invoice processing of digitized paper-based documents, you can also use enaio® for electronic invoice receipt, regardless of the file format (unstructured, e-mails, XML, etc.). The solution also supports electronic ZUGFeRD invoices. What immediately impressed us about enaio® were the existing options for searching documents and displaying them in the right context. We have […] found the ideal partner for a standardized and holistic solution approach to accurate data capture and processing.